Your design must be presented in a square format. Your design must exist in, and interact with, a square frame of reference. 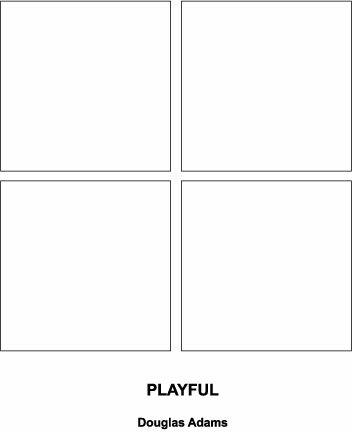 Make at least four preliminary “sketches” for each word (using the format on the attached page), then enlarge the best one of each and print it. You are responsible for turning in all the sketches (both computer & studio), as well as the four final designs. 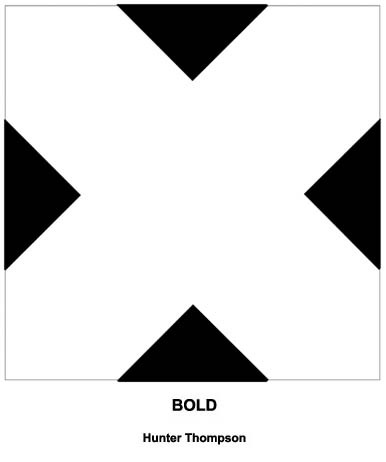 There is no limit to how you design the squares as long as you use four of the same size and the only ink on the page is black. Then double click anywhere on the page. In the resulting dialog box, type in a height and width of 3.75 and hit OK. This will give you a square. While it’s still selected, change it’s fill to none (or white) and its stroke to 1 pt. Now pick the selection tool. Drag the square into the upper left-hand corner of the page, positioning it about ¼” from the edge. While it’s still selected, pull down the edit menu and pick copy. Then pull down the edit menu again and pick paste. This will give you a copy of your square. Drag this one into the upper right hand corner. 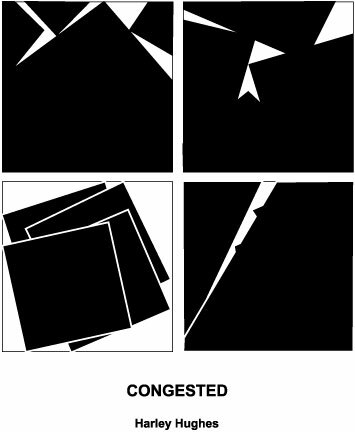 Create the last two squares and move them into place by repeating this “paste process.” Arrange the squares so they are evenly spaced. Use the Type Tool to insert the title “PLAYFUL” and your name as described in the example sheet. The Sketches look like this. You will produce one set of four for each of the words (that's four sheets of paper). The best one is enlarged to be presented by itself on the paper and looks like this. You will produce one for each of the words (that's four more sheets of paper).